“There is no place like Nebraska” the state we are proud to call our home. From the local attractions, people and history, it is truly the “Good Life”. And thanks to our carefully curated Hometown Pride Bling Box, Nebraskans near and far can have a little piece of the Cornhusker State with them always. As a gal who was born and raised in the heartland, I know there is no place like Nebraska. Don’t get me wrong, I love traveling, but there is nothing like coming home. A big size town, but a small town feel is what everyone loves about my hometown, Omaha! The holiday season is the perfect time to celebrate and gift hometown items for that passionate Nebraska fan in your life. 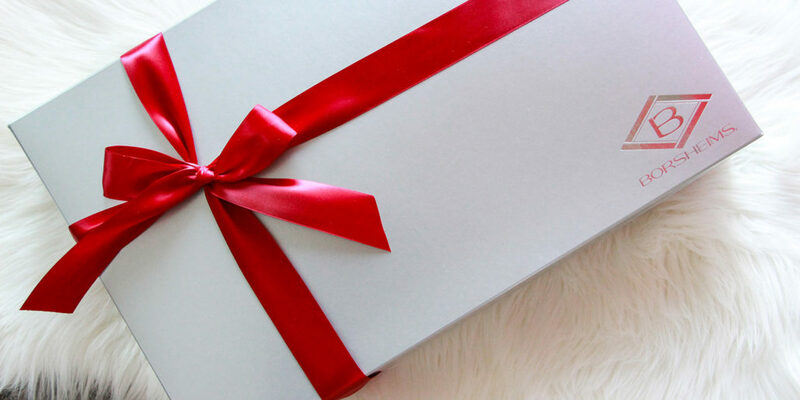 When gifting a high-quality item, Borsheims is always our first stop. Borsheims holds a special place in my heart because when I received my first silver box, my fiancé was proposing to me, almost a year ago! The excitement you feel when you receive that silver box is an overwhelming feeling of love from the person who gifted it to you. To make your gifting easy, Borsheims has created the hometown pride bling box for your hometown love. 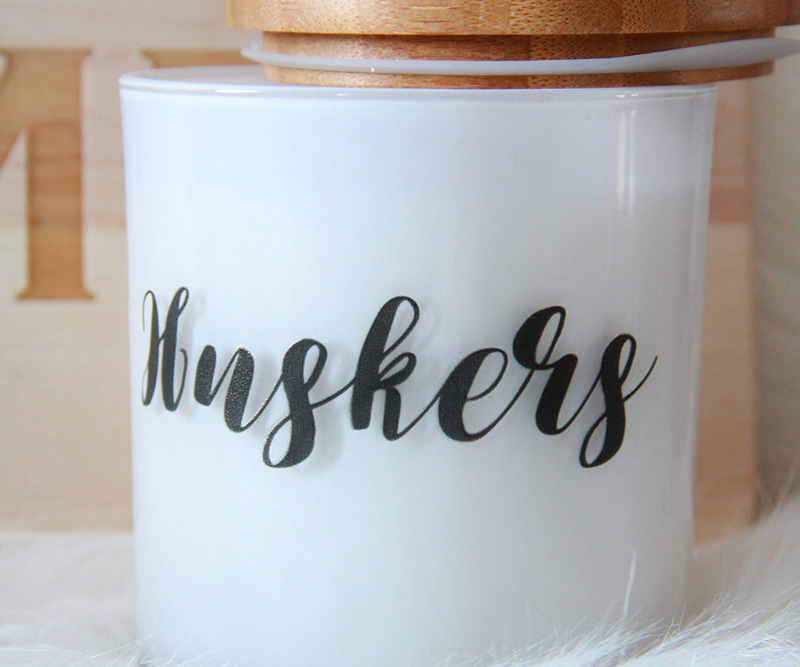 Perfect for the gal that is all about Nebraska or maybe a friend who has moved away. Help them keep Nebraska in their hearts this holiday season! 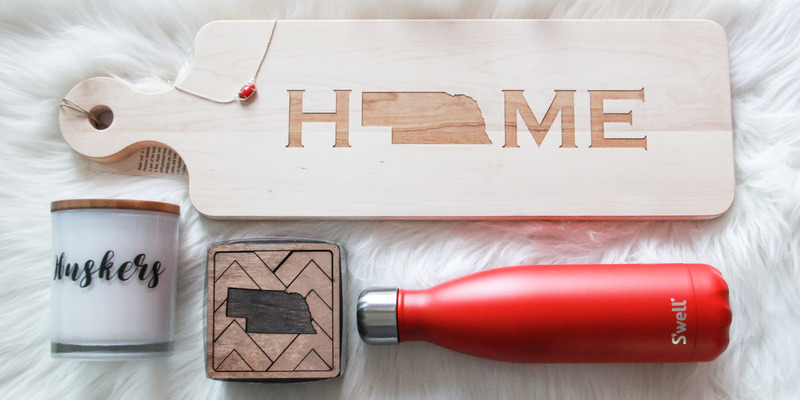 Each hometown pride bling box comes equipped with items any Nebraskan would love. 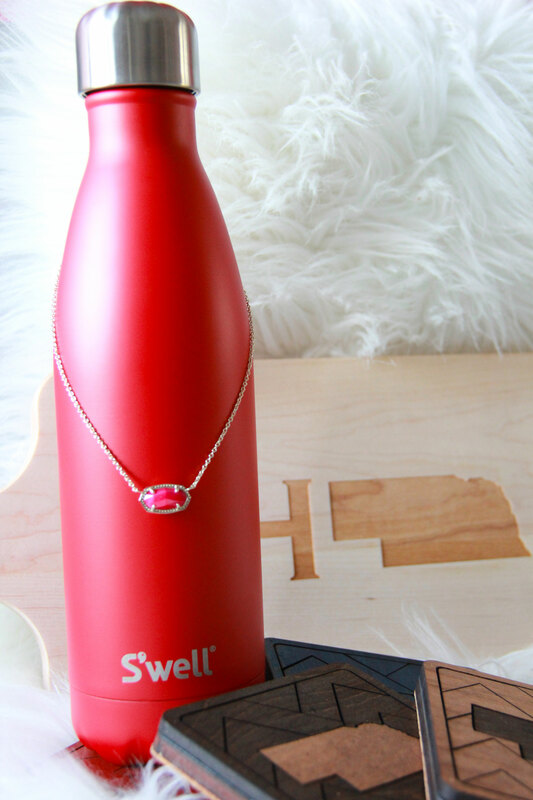 Starting with a scarlet S’well bottle for when you are on the run and an unplug Husker Tea Soy Candle so you can unwind at the end of a long day. If your Nebraska gal is like me – then she loves to be the hostess with the mostest for all those holiday parties! 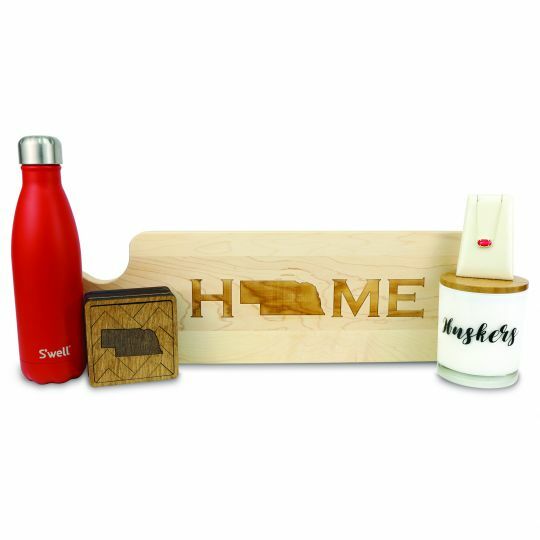 The Maple Leaf at HOME Nebraska bread board and Nebraska magnetic puzzle coasters are the perfect pieces for any party! 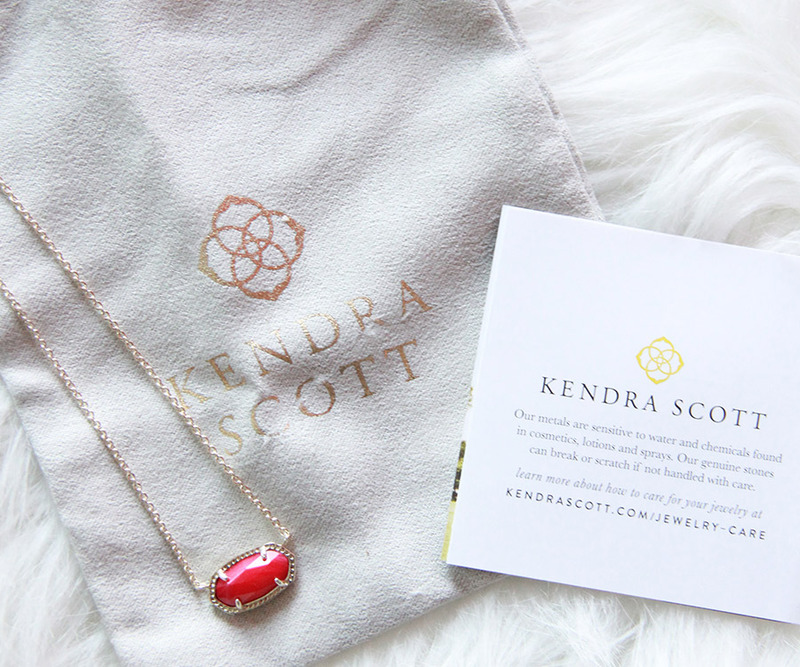 Finally, the Borsheims bling box includes a Kendra Scott Elisa Gold-Tone necklace in Red Mother of Pearl! Perfect for every fashion-forward woman. Borsheims is all about sharing and showing your family and friends that you love them during the holiday season, and all year long. Trust me; everyone wants to wake up Christmas morning with a silver box under their tree!